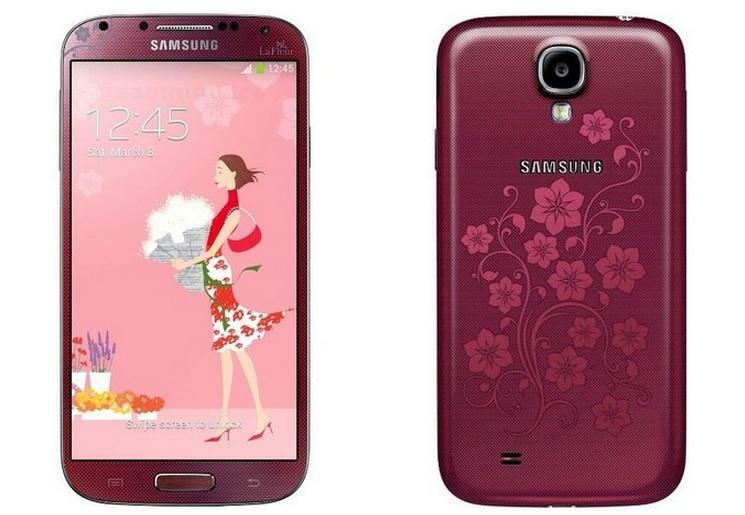 A flowery red version of the Galaxy S4 will soon be available, according to SamMobile, which shared the news earlier today on Twitter. The design, which Samsung calls "La Fleur," was previously offered for the Galaxy S III Mini and Galaxy S4 Mini, though those models were restricted to select European and Asian markets. Aside from its red exterior and flowery pattern, the La Fleur Galaxy S4 appears to be the same phone as the original. It comes equipped with a 5-inch 1080p Super AMOLED display, an Exynos 5 Octa processor, a 13-megapixel rear camera, a 2600mAh battery, and 2GB of RAM. It's unclear which version of Android OS will come pre-installed on the device. Last week, SamMobile predicted a white La Fleur edition of the Galaxy S4 would launch in March, though this red model appears to have caught the Samsung-focused blog by surprise.